Still on the same layout, still using up that Autumn paper! 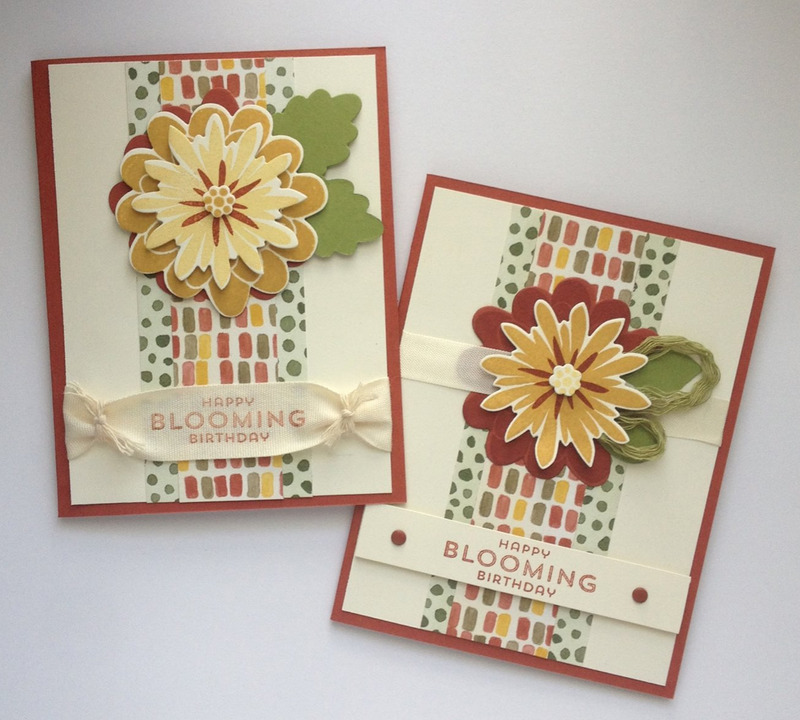 Today's cards are using Color Me Autumn Designer Series Paper, and the Natural & Old Olive Trim from the Holiday Catalog; and Flower Patch stamp set, with coordinating Flower Fair Framelits, Natural Cotton Ribbon, Cajun Craze and Very Vanilla Cardstock. 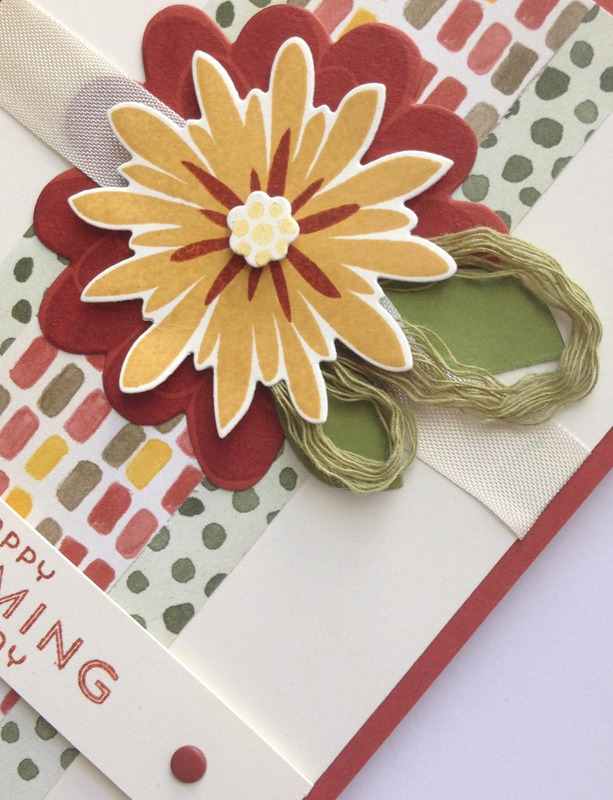 I like to think they look like Chrysanthemums... perfect for November birthdays! 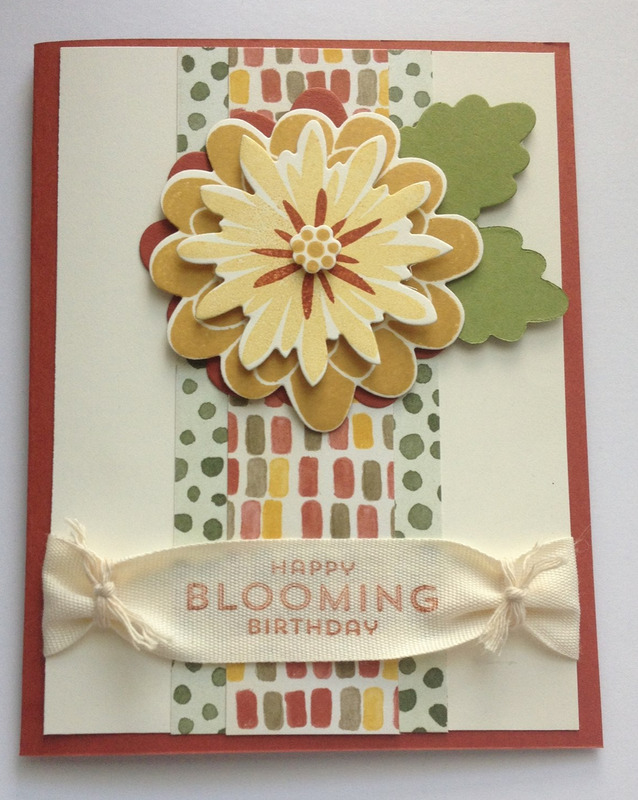 For this card, because I can't seem to make cards if I don't make two, I used a Cajun Craze die cut at the back, topped with Hello Honey stamped and cut layers, and I stamped off to get the color variation, and added a stamp in Cajun Craze. I know the color specifically in the Color Me Autumn DSP is Crushed Curry, but I havent restocked my ribbon, and I thought I was out of Crushed Curry and I'd use the Hello Honey ribbon... that I'm out of also. :-/ So there's that. I think the Cotton Ribbon really worked out nicely! I used the natural strands from the Natural & Olive Trim to tie up the ends of the Cotton Ribbon, to echo the dots/brads in this layout. 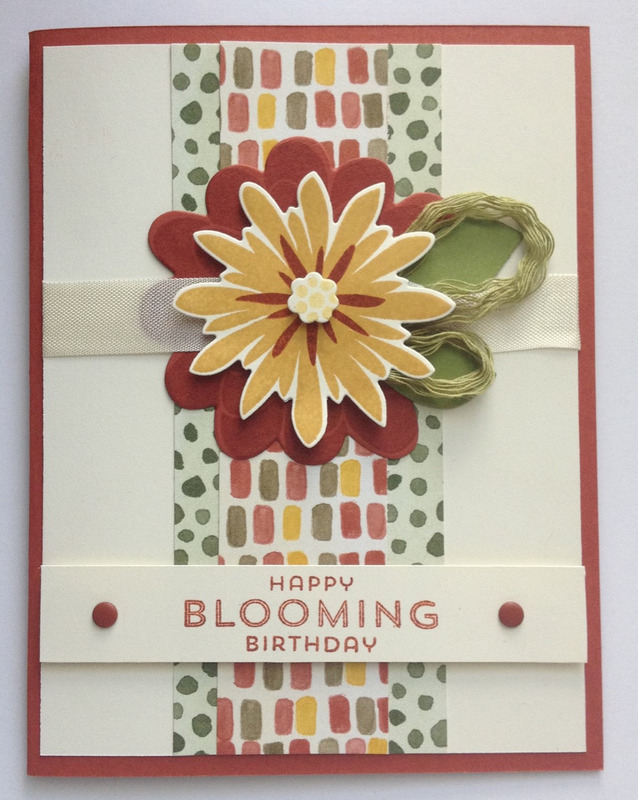 For the second card (or first, I tend to work on two at once) I used Very Vanilla Seam Binding as the ribbon accent, and used a more contrasting flower arrangement. 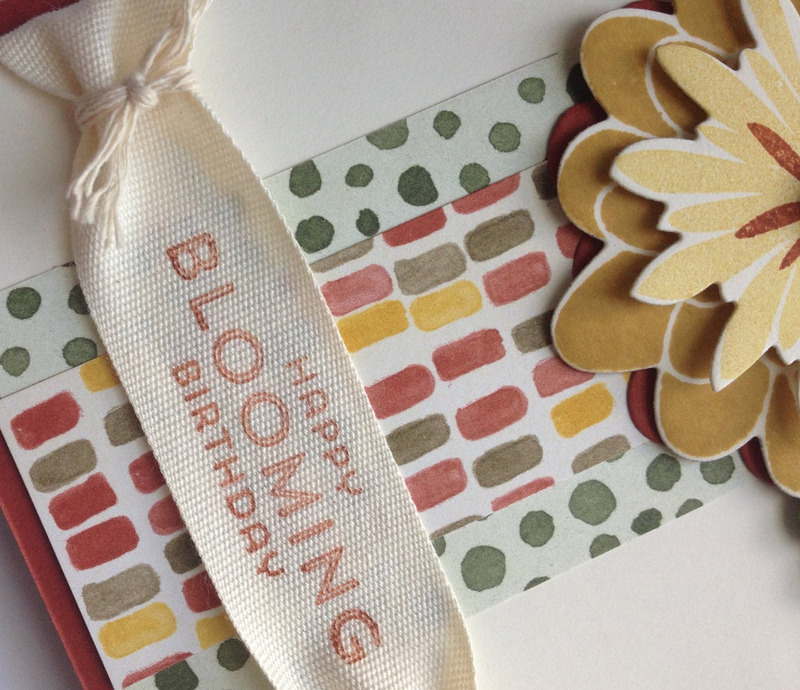 The sentiment is stamped on Very Vanilla Cardstock and accented with the Candy Dots. Its been fun trying out different combinations in the same layout, I hope you'll look back through my blog and see the other combos I've used this week!